During a special session in 2016, the state of Utah approved the legislation according to which, authorities are allowed to shoot down drones whether they fly too close to firefighting operations. Why Utah reached this point? 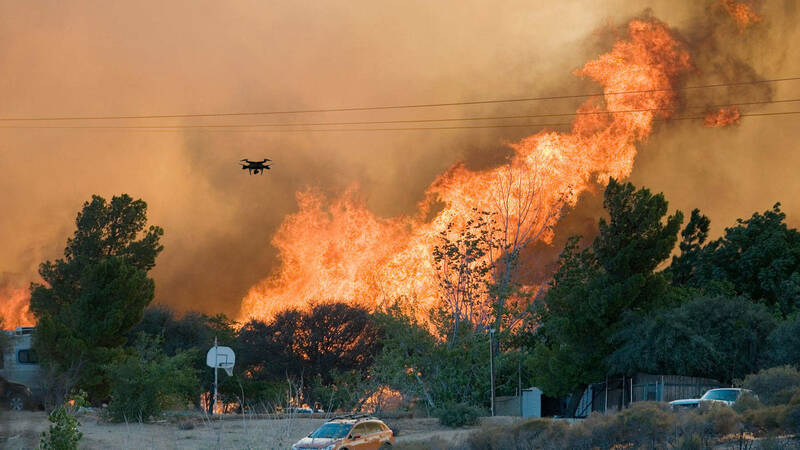 This action is the consequence of severe recent incidents where drones interferred with firefighters during stuggles against wildfires throughout the country. As Governor Herbert declared, the costs in firefighting increased beyond the few million dollars. Many times, firefighter’s HEMs have been forced to the ground because of drones which where flying in the same airspace. 1. Before shooting the drone, authorities are expected to stop the drone with non-violent means. 2. But, wherever this operation turns out to be impossible, police have the permission to shoot it down. According to the source, Utah is the first state to give law enforcement in such a field and the state enhanced penalties for anyone caught flying a UAV which impedes firefighting aircrafts in doing their job.